With Tickets – 4000/- Per Child. For more details call – 9825066880. 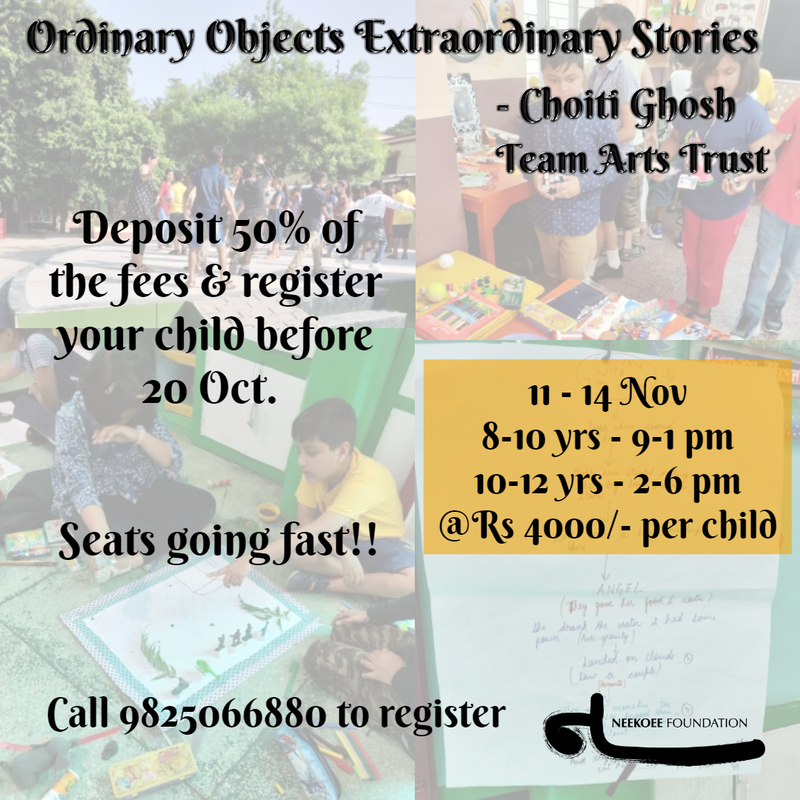 Ordinary object and Extraordinary Stories – Chotisi Trust, Team Art Trust. Deposit 50% of fees & register your child before 20th Oct.